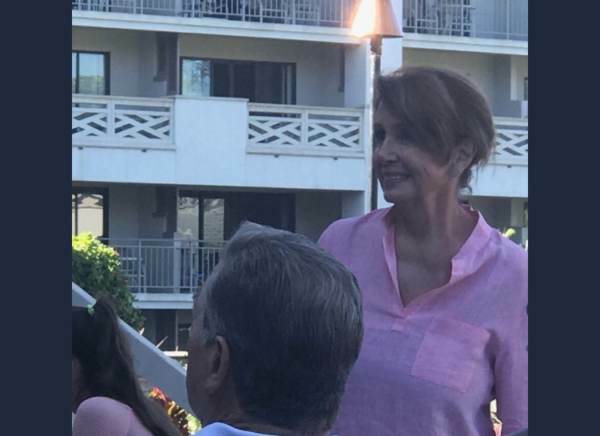 House Speaker-to-be Nancy Pelosi (D-CA) was spotted Thursday vacationing in Hawaii at the Fairmont Orchid resort during the government shutdown. Rooms at this posh resort range from $899-a-night for a standard room to $4,899-a-night for the presidential suite, reported the Free Beacon. President Trump canceled his Christmas trip to Mar-a-Lago to work during the shutdown, but Pelosi jet-setted to Hawaii while 800,000 government employees are currently not working. Pelosi blamed President Trump for the shutdown after he refused to sign a stopgap funding bill that excluded $5 billion for the border wall. The House revamped the bill and added the border wall funding Trump asked for and passed in a 217-185 vote — once again proving Pelosi wrong. The Senate, however, refused to pass the bill after it got bounced back from the House, resulting in a Schumer shutdown. Nancy Pelosi’s trip to Hawaii during Christmas seems to be a tradition. In 2009, 2010 and 2011, Pelosi spent Christmas at the Four Seasons Resort Hualalai at Historic Ka’upulehu on Hawaii and stayed in the $10,000 a night presidential suite even though Americans were suffering during the Great Recession.